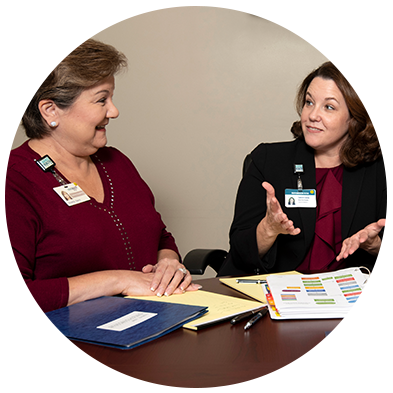 Harris Health is committed to providing its workforce members with a Just and Accountable Culture to reinforce Harris Health’s commitment to provide quality care and services to the patients we serve. To that end, Harris Health will continually monitor the delivery of care and related services to assure that appropriate standards of practice are met and to ensure that it employs appropriately licensed and credentialed healthcare providers to care for our patients. To take responsibility for the patients you treat and provide care and services that are based on current standards of practice and the most current knowledge. To only provide the care that you are licensed or credentialed to provide and that you have been trained to provide. To follow quality improvement protocols and participate in performance improvement and patient safety activities. To report any patient safety concerns, patient safety incidents, or errors to your immediate supervisor or in Harris Health’s electronic incident reporting system (eIRS). I forgot to use two patient identifiers when giving a patient a medication and it resulted in the patient getting another patient’s medication instead of their own. The patient brought it back to me before he took any of the medication. Do I need to report this incident even though nothing bad happened as a result of my error? Yes. Failing to use two patient identifiers to properly identify a patient is an at-risk behavior. An at-risk behavior is defined as a behavioral choice where the risk is not recognized or is mistakenly believed to be justified. Pursuant to Harris Health Policy 3466, Just and Accountable Culture, and Harris Health Policy 3466.01, Red Rules, all safety events, including near misses such as the one described, must be reported. Failure to report a safety event will result in disciplinary action up to and including termination.